With adhesive strip for closure. 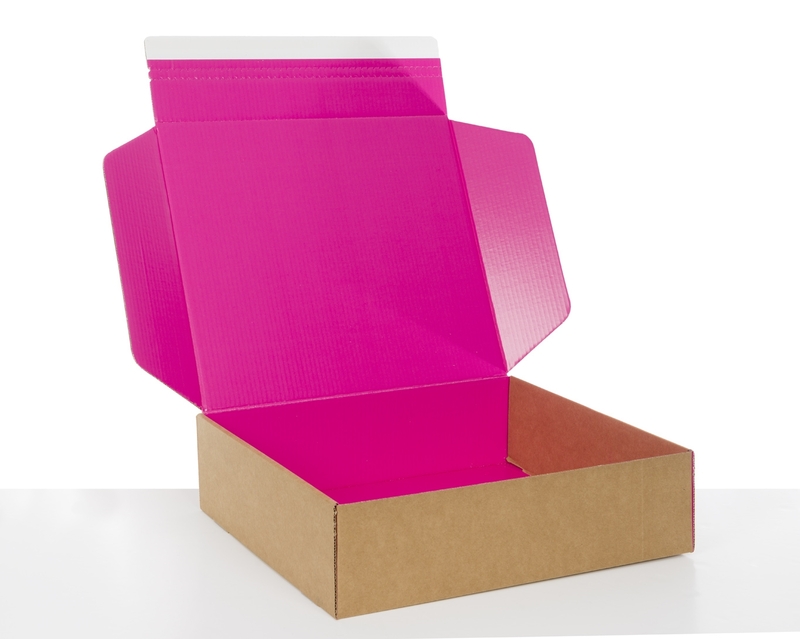 These pink flat pack gift boxes have been designed to facilitate smooth assembly and customer satisfaction. 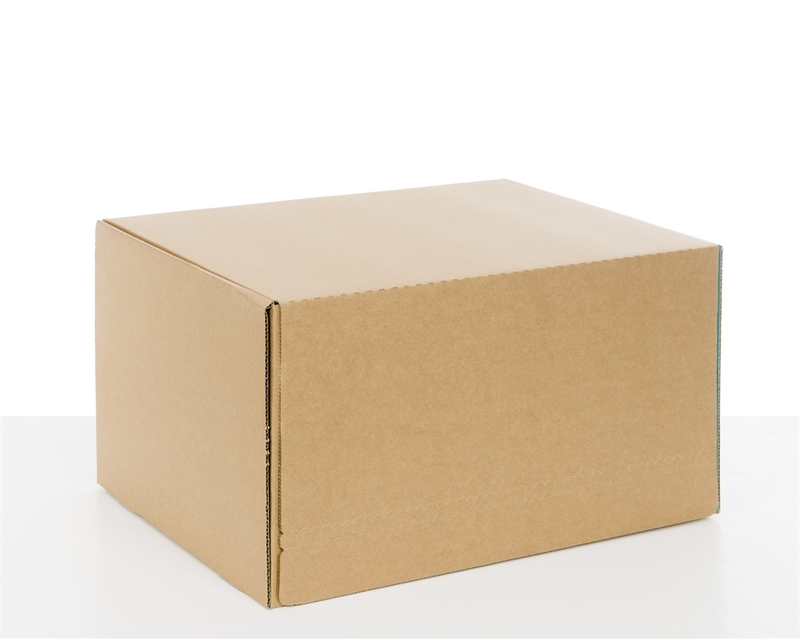 Save shipment time and costs by reducing packaging materials. Simply place your products inside and close using the self-adhesive strip. 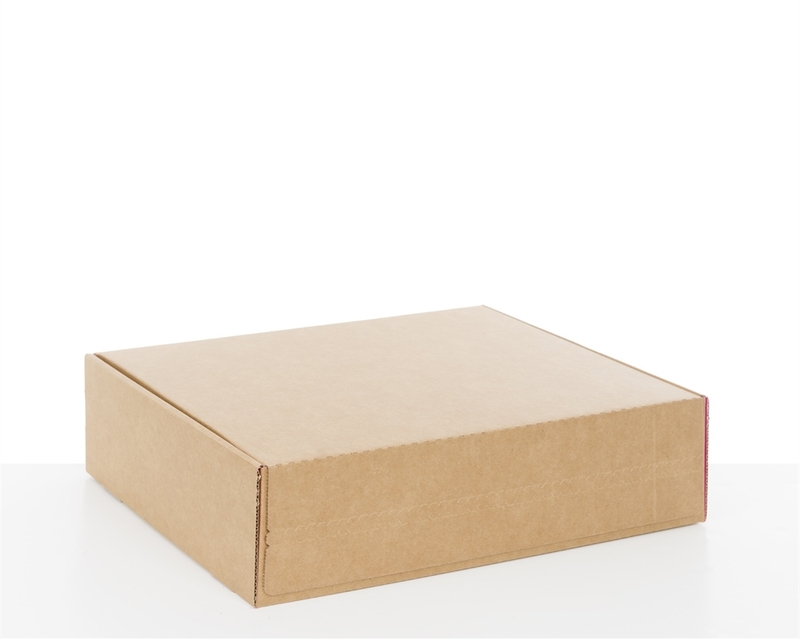 Our all-in-one boxes streamline the packing and shipping process. 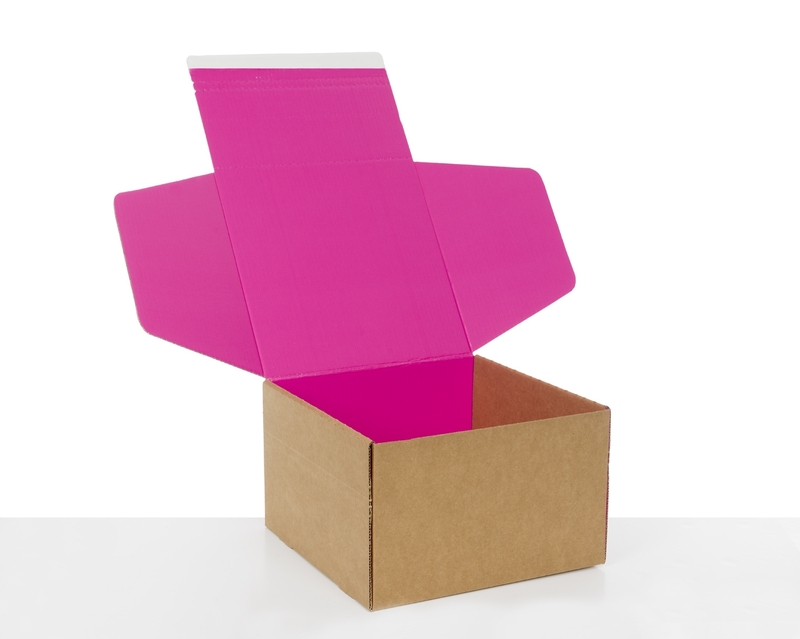 Each box features an elegant coated pink interior to complement your products, and a brown exterior ready for shipping. 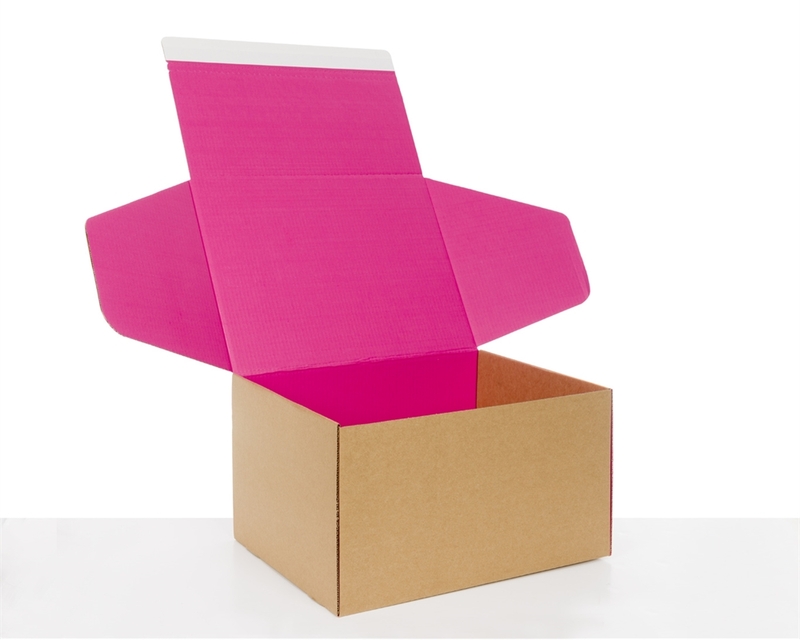 With our e-commerce pink gift postal boxes’ easy-opening tear strip, your customer can open the packaging quickly and safely, no need for scissors or knives. Even a child can open it easily – that’s why we call it a frustration-free unboxing experience. 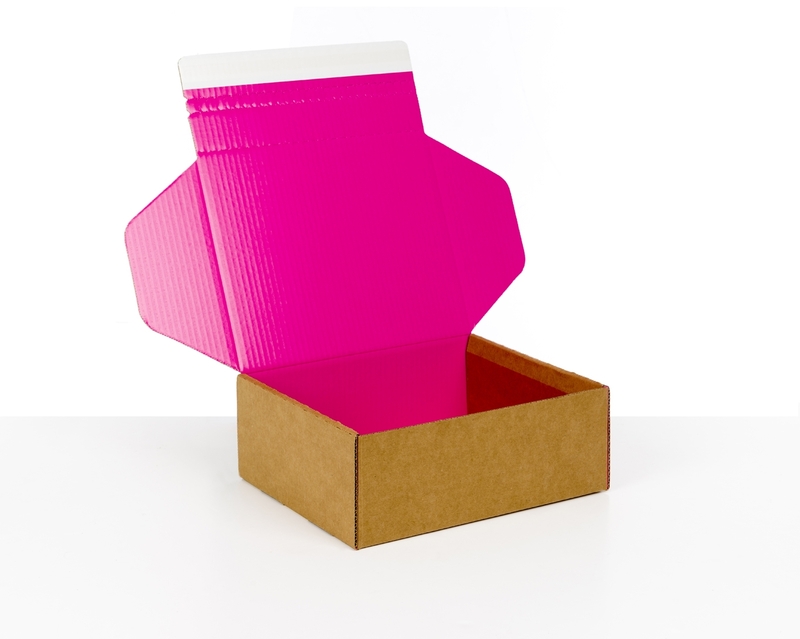 The format and the self-adhesive closure of these pink gift postal boxes make it difficult for people to put their finger through the flaps or to open the box without permission, so products cannot easily be interfered with during shipping.